I haven’t written in several months, I know. Perhaps Thailand got in the way of my regular correspondence, although there was little to stop me from writing a Letter from Thailand, other than the sunshine and other things I was writing. So here is my first letter of 2014, and it is of a sombre note. Today’s letter takes an obvious theme, and one which is flooding both the Korean television and media outlets, as well as many of the English blogs, websites, and twitter and facebook posts and profiles. 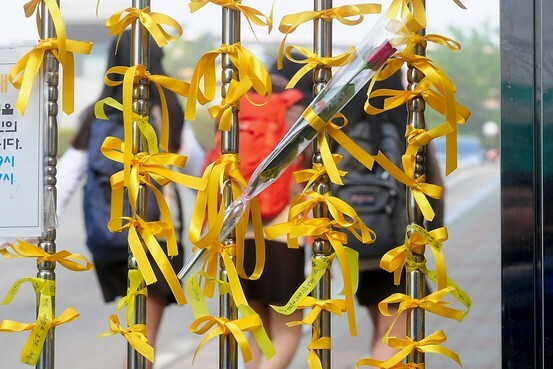 It is the sinking of the Sewol ferry off the south-west coast last week. I’m still struggling to come to terms with the tragedy. I still struggle to read anything beyond the headline of an article, let alone watch longer than a few moments of the news. There is no hope of any good news any longer, I can only report, with every story coming out with more talk of bodies found, often clutching together in a final communion of hope for survival together. What gets to me every time is the victims. Like everywhere, but I think in Korea the bond is reinforced and probably well documented, when we go through a tough time together we become closer to those who share the experience with us. High school students in Korea of course suffer through the insane hours of study before the 수능, an experience which leaves so many shocked and both over and underwhelmed. But when we grow, and feel ourselves changing and growing, we know how important is to us in later life, and we recollect fondly on these times regardless of how frustrating or challenging or hated they were, at least to a certain point. It is this loss here, that so many will never be able to recollect, and those who are lucky enough to be able to will struggle to emerge from this nightmare, this is where our hearts are bleeding for most. I wrote a poem about this sinking. It took a mere twenty minutes, and even though it was an accidental poem it was the right way to write about the tragedy because any other way would have resulted in a rant, and right now what we don’t need is more rants. We need to sit and we need to wait and let the people bring about the nearest thing to the end of the misery the families and friends of the deceased are suffering. A lot of writing that is coming out on the internet seems intent to point the finger and blame, be it Korean culture, Confucianism, laziness, the weather, the laissez faire attitude to safety, the captain. I can’t do this. Not because I don’t want to, because I’m so pent up with frustration now it seems like the only thing to do, but because it’s not place to do so. I wish I knew if there was a place to do this, and I wish I knew that there was someone who would listen to me. This is not something that my pontificating will fix. I might explain something or offer some insight which will allow for someone’s clearer perspective, but it would be an absolute lie because I have rarely seen less clearly on any aspect of Korea before. 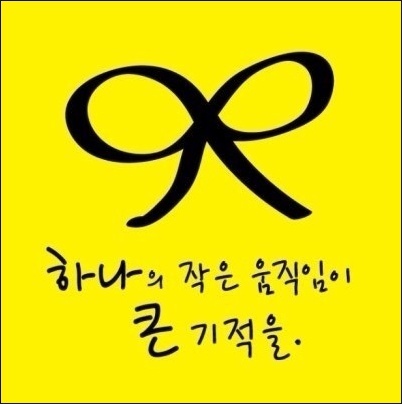 There is hope in me that this tragedy will force us all, both foreigners in Korea and Koreans themselves, to learn and not repeat the mistakes that have been made. These mistakes lie in our assertions, our actions, and our words directed in hatred or in casual passing. Never have I witnessed Korea so tied together in its famed brotherhood before, despite reading of it, I imagined it, but now I am witnessing it, and I hope that I am a part of it. There is a call to pray for South Korea on the internet, and I hope that these prayers are for not only the recovery but also the rectification of all that was done wrong, so that something like this never happens again. We pray, even those of us who are of no religion. Amen.